Taking the murder of Christopher Marlowe as its starting point this book delves into the evil world of the Elizabethan police state. 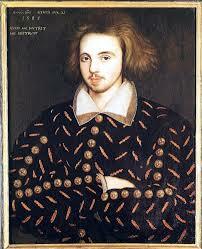 For me the revelation of the book was not so much the explanation of the killing of Marlowe, convincing as that was. Rather it related to the nature of the totalitarian system that Elizabeth and her ministers sought to impose, so much so that they themselves originated many of the plots that they claimed to have uncovered, their purpose entrapment of real, or more often imagined, enemies. The book would be a fine companion to Alice Hodge’s excellent study of the Jesuit mission to England “God’s Secret Agents”, which explores the same milieu from the perspective of the hunted. Marlowe emerges from the investigation an ambiguous character – probably a nasty manipulator and betrayer of some close to him, but, something that the author does not seem to have considered, perhaps someone ultimately sympathetic to the Catholic cause and caught up like so many others in the brutal machinations of the nascent police state. Overall an exemplary demonstration of rigorous archival research and analysis to produce a highly coherent and readable account of a complex and confusing mystery.